Alison Kuo, Chinese Food the American Way No. 1, digital collage, 2018. 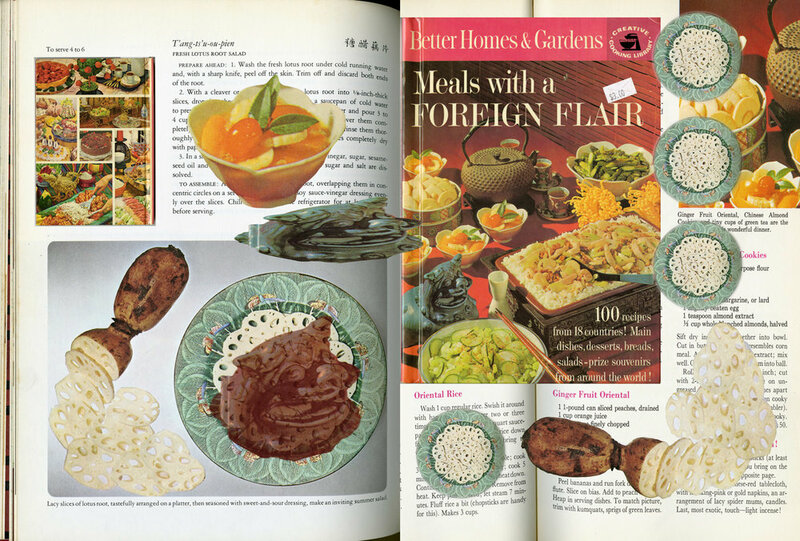 Alison Kuo, Chinese Food the American Way No. 2, digital collage, 2018. Alison Kuo, Chinese Food the American Way No. 3, digital collage, 2018. Alison Kuo, Chinese Food the American Way No. 4, digital collage, 2018. Alison Kuo, Chinese Food the American Way No. 5, digital collage, 2018. Alison Kuo, Chinese Food the American Way No. 6, digital collage, 2018. Alison Kuo, Chinese Food the American Way No. 7, digital collage, 2018. Alison Kuo, Chinese Food the American Way No. 8, digital collage, 2018. Alison Kuo, Chinese Food the American Way No. 9, digital collage, 2018. Alison Kuo, Chinese Food the American Way No. 10, digital collage, 2018. Alison Kuo, Chinese Food the American Way No. 11, digital collage, 2018. Alison Kuo, Chinese Food the American Way No. 12, digital collage, 2018. 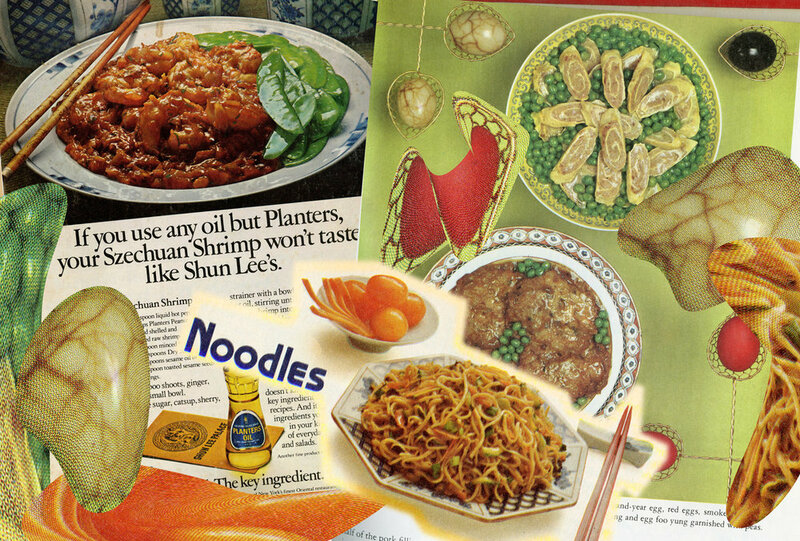 Alison Kuo, Chinese Food the American Way No. 13, digital collage, 2018. Alison Kuo, Chinese Food the American Way No. 14, digital collage, 2018. Alison Kuo, Chinese Food the American Way No. 15, digital collage, 2018. Alison Kuo, Chinese Food the American Way No. 16, digital collage, 2018. Alison Kuo, Chinese Food the American Way No. 17, digital collage, 2018. Alison Kuo, Chinese Food the American Way No. 18, digital collage, 2018. Alison Kuo, Chinese Food the American Way No. 19, digital collage, 2018. 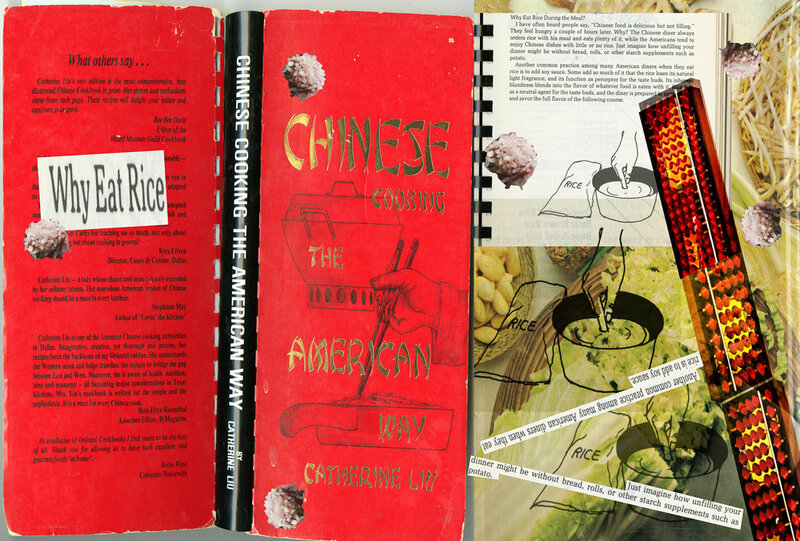 Alison Kuo, Chinese Food the American Way No. 20, digital collage, 2018. The project’s first installment is a large tent and lounge area designed for the first Happy Family Night Market in Bushwick. 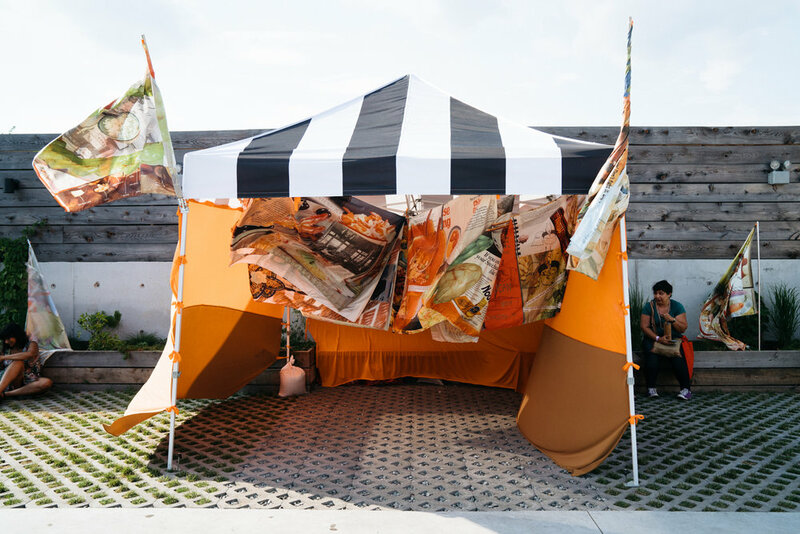 The tent’s exterior, interior, and the beanbags inside will be printed with collages, encouraging visitors to think about how cookbooks provide us with many different entry points into food and culture. Alison Kuo makes art that examines power and class dynamics through the language of food. Her participatory performances invite her audience to collaborate, and to eat, within the framework of an installation. 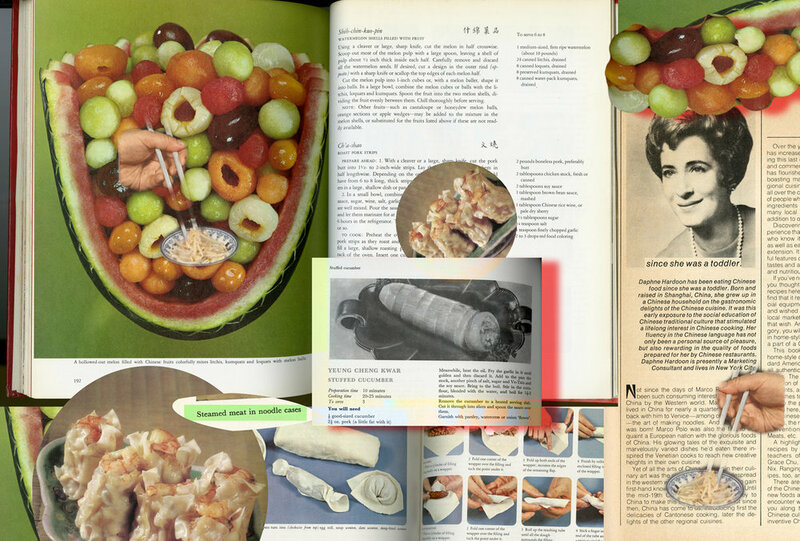 Her photographs and videos remix coded representations of food from advertising, cookbooks, and popular media. Curator Media Farzin is an art writer and educator based in New York.